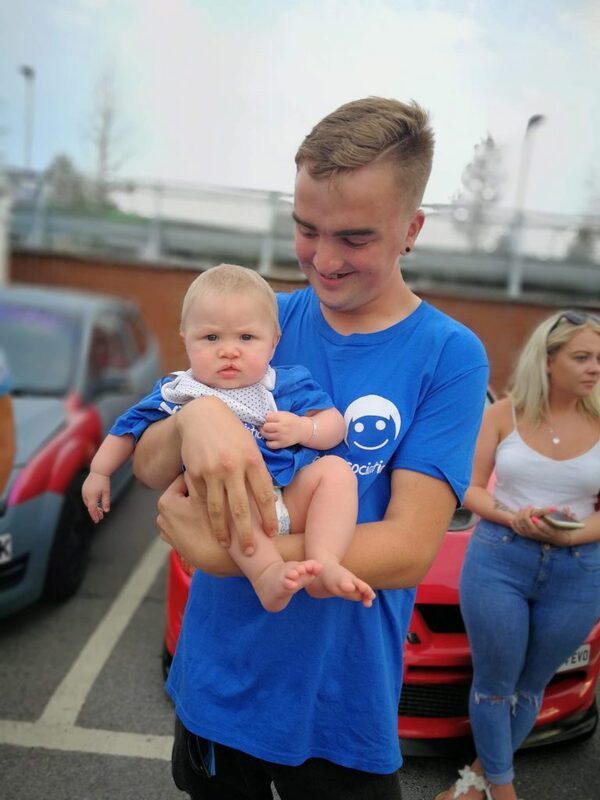 After Ed’s amazing efforts were highlighted to us by grateful members of the CLAPA Community, we got in touch with Ed to find out if he’d like to share his story for CLAPA so that we can say a huge thank you for all his hard work. Hi, My Name is Ed Langrell and I was recently asked if I would like to share my story and show just why I support CLAPA. 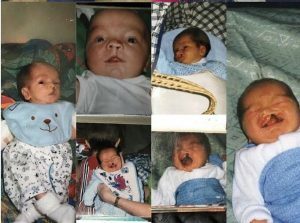 I was born in January 1998 with a unilateral cleft lip and palate. At just 4 weeks old, I was taken into hospital to have the first part of my lip repair. This was soon followed by my soft palate repair at 3 months old. My hard palate was also repaired at 9 months old and then it was quite some time before my next operation. Of course, I don’t recall these procedures as I was at such a young age. I guess the first operation I have any real memory of was my bone graft, when I was 14 years old. This involved part of my shin being used to strengthen my upper gum on the left side. More recently, I have had rhinoplasties done to improve the aesthetics and function of my left nostril. I’ve actually had a tattoo piece done in honour of CLAPA as well. In all honesty I wouldn’t change anything, even if I was given the option to. Being born with a cleft has truly made me the person I am today. Generally I’ve always had a positive reaction from people when I’m out and about. The majority of the time people are either just curious or they have someone in their family with a cleft lip, and of course it’s always nice to exchange stories. Not only that, I have the closest family ever as well as the best friendship group I could ask for, and I think that has helped me massively along the way. My personal opinion on the CLAPA Community is that it is very important for a few reasons. CLAPA help put people in touch. We all know that it isn’t always possible to get hold of a cleft nurse for instance, but people can turn to one another on the official CLAPA Facebook group and ask their questions – 9 times out of 10 they can get answers, and find it’s actually a common query! Not only that, but I have made some lifelong friends within the community, and I don’t personally think there is a better feeling than helping someone out no matter how big or small. Being in touch with each other thorough CLAPA allows us to do exactly that. 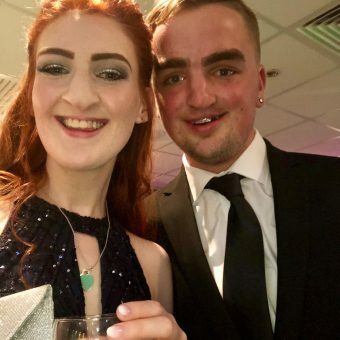 Personally, I’d like to think I am approaching the end of the tunnel with my cleft journey, so I think it is important to give a little back and help others out. That was how I got involved in putting on a fundraising event for CLAPA. I think it is very important to have a hobby and a passion in life. I am an automotive technician by trade but my interest in cars doesn’t stop there. I spend my every spare minute at car shows and meets, fixing up my own car, and speaking to fellow enthusiasts. A few friends and I even run a car group called “THE DIVISION”. As a group, we like to host meet ups in aid of a charity now and then and when I was asked if I would like to do one in honour of CLAPA, I was delighted. We arranged for the charity meet to take place on 1st July 2018 and it was honestly one of the most surreal evenings of my life (seeing so many people bring their pride and joys out to support the CLAPA community just meant so much). As a group we managed to fundraise for the charity whilst having fun – so what more could we ask for? The support we received was amazing and I managed to meet some great people within the community. And that’s my story so far.